Our NEW Pilates class is currently offered at an introductory rate. Just $10 per class! Offer ends March 31st. Have you ever wanted to try yoga but felt like your body might not cooperate? Gentle Yoga is a great way to get started. It is safe for those with limitations in mobility, strength, or balance due to injuries, aging, or simply being out of shape. This class focuses on mobility of the spine, strengthening the core muscles, and developing ease of movement in the joints with the intention of promoting greater balance and resiliency. All levels are welcome and no prior experience is needed. Chairs, props, and cushions are optional to ensure a safe and confident experience. Click here to learn about the instructor Courtney Pace. 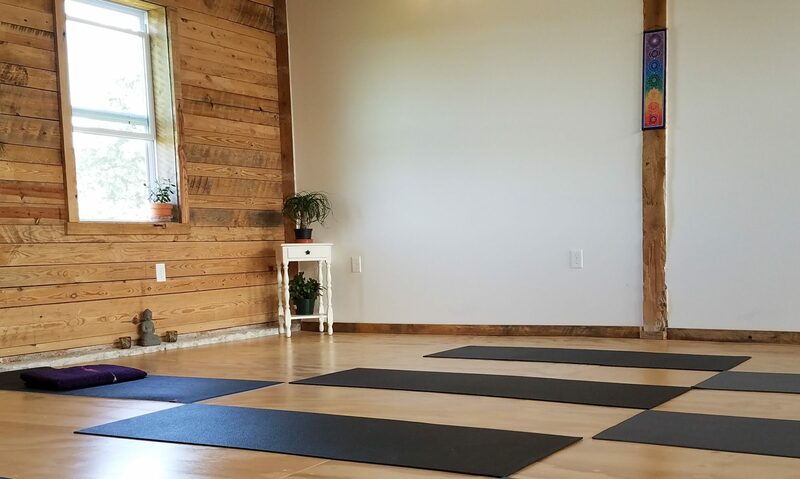 With a sincere passion and deep belief that yoga is accessible and beneficial to anyone, this class goes with the flow in a playful and open style. We practice traditional yoga postures along with some that we make up on the fly. It’s a class for exploration, laughter, and encouragement as we support one another in this journey we call life. Class is open to students of any level of ability including individuals with special areas of need. We ensure that each student is able to participate in their own unique way. Kunga is an African word that means “to help” or “to serve.” By participating in this all-levels, flow-style class, you are also engaging in an act of service. Five percent of the proceeds of every class will be donated to three different nonprofits serving abroad, nationally, and regionally: Homes of Hope orphanages in India, Farm Sanctuary, and Yoga Village. An additional 5 percent of the proceeds will be donated to a different local nonprofit every month. This hour-long class, led by Haley Leopold, RYT-200, will build transformative heat, offer options for all levels – from total beginners to the experienced practitioner -, and end with restorative postures and meditation. Click here to learn about the instructor Haley Leopold. Ving Tsun Kung Fu is a martial arts system that uses unique training methods to produce spontaneous reflexes. The Ving Tsun system is strongly based on logic consisting of 3 core principles: simplicity of technique, efficiency of movement & directness — which are used to form biomechanical concepts for self defense. Click here to learn more about Kung Fu. The six principles that form the Pilates method are control, center, concentration, precision, flow and breath. Regular application of these principles throughout the Mat exercises will result in improved posture, coordination, confidence and physique. Click here to learn more about Pilates. Kundalini Yoga is an uplifting yoga of transformation practiced in kriyas. These specific sets of exercises generate energy, raise awareness, expand intuition, remove psychic blocks, purify the body and calm the mind. This allows the boundless infinite Self to be revealed and experienced. Each class includes mantra, pranayama, meditation and song along with yoga postures and will leave you feeling energized and blissful. This class brings the skills, patterns, practicality, and jubilance of wild movement back into your body and life. The instructor, Josh Braden, uses his experience and training as a level II MovNat instructor to provide lucid guidance for folks in their movement journey. If you have concerns about attending a group class, you may consider an individual session to help get you started. Click here for more info. 5 = 5th Class is FREE! *Please note: Classes do not carry over to the next month. All classes must be used within the month of purchase.